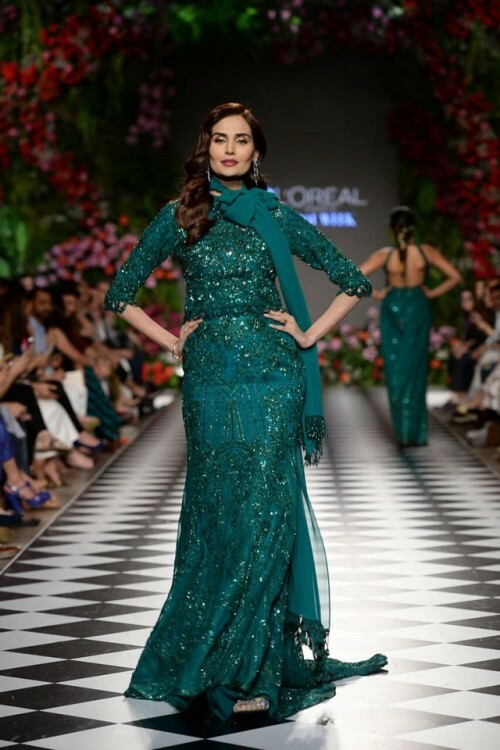 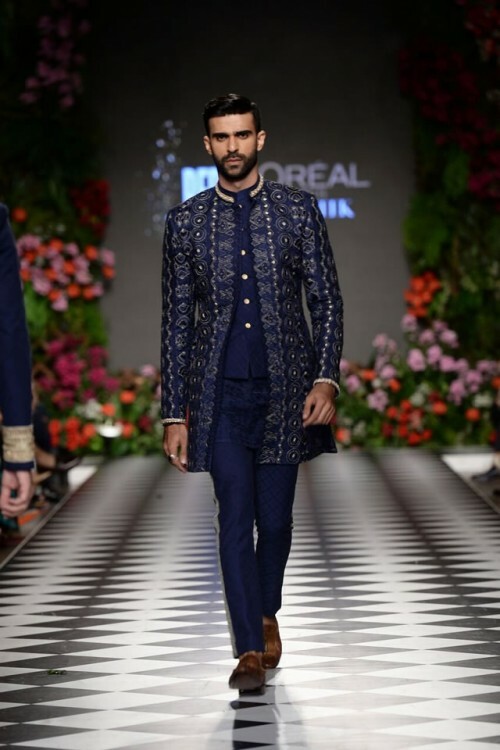 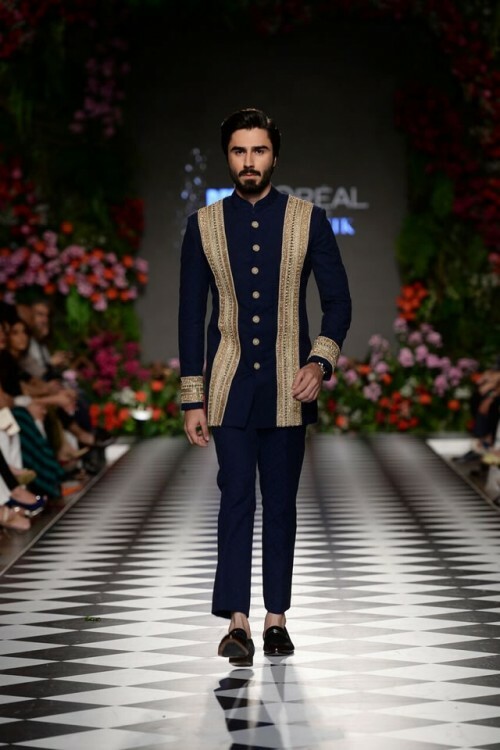 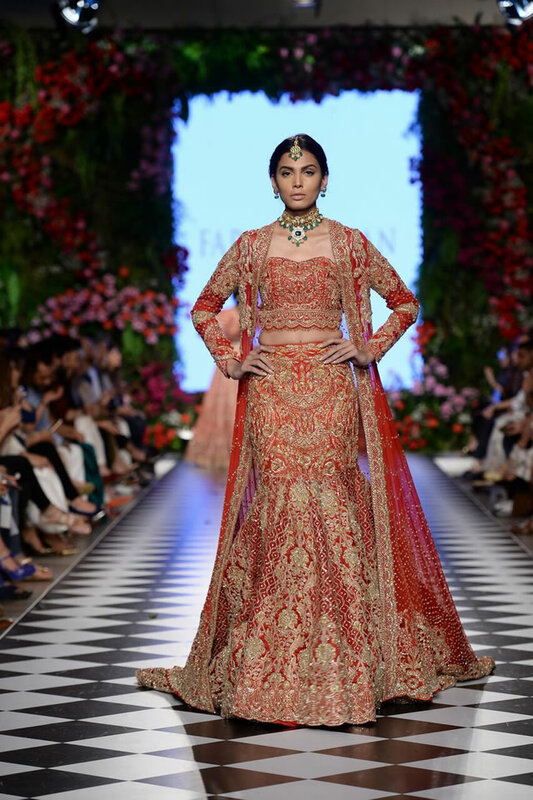 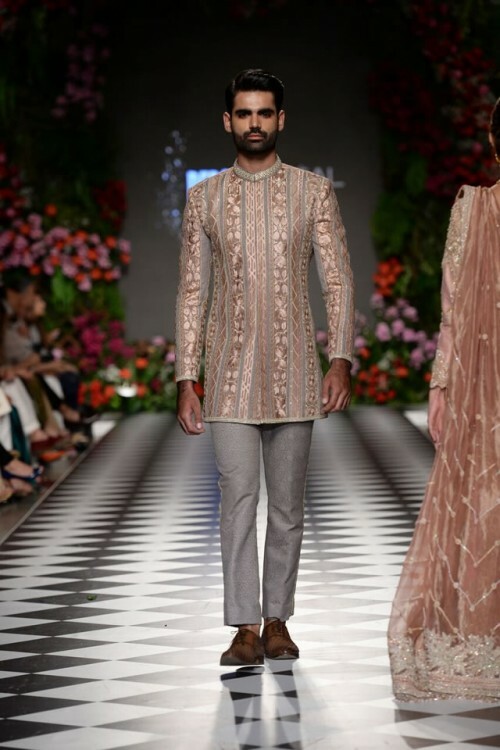 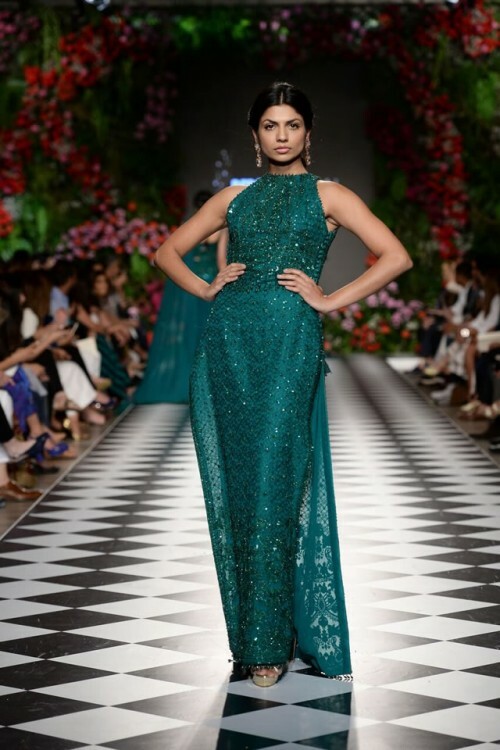 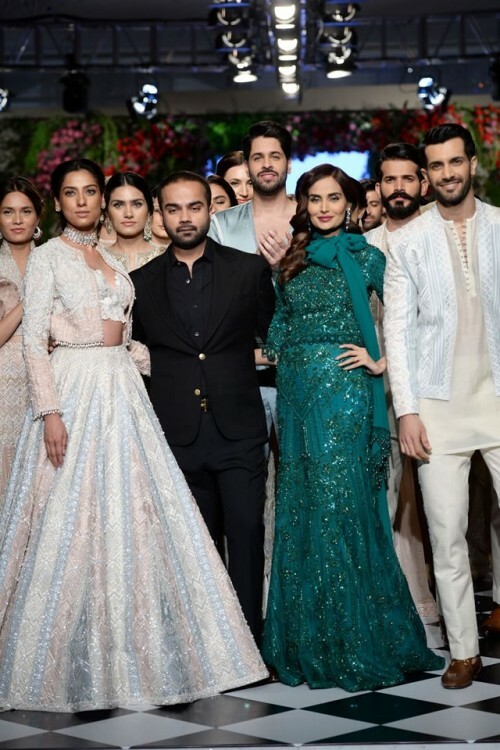 The evening bridal showcase was started by solo show showing Faraz Manan, who displayed the bridal collection ‘AlHambra’ collection at PFDC L’Oreal Paris Bridal Week. 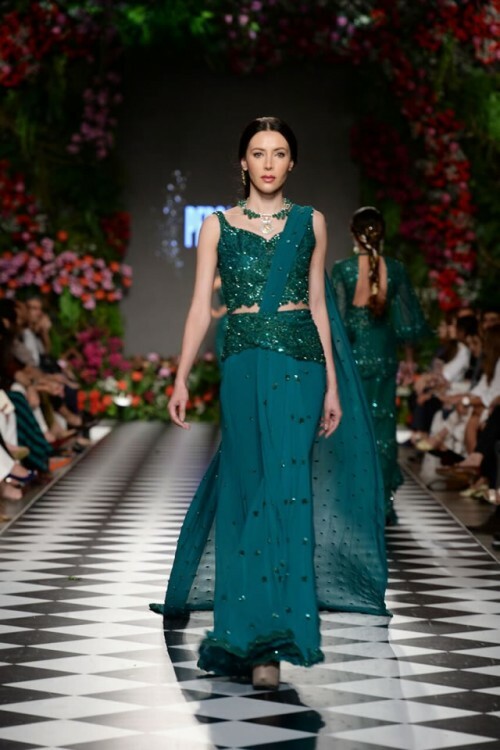 This fashion brand has made the collaboration with Shazia Deen of Neemar for jewellery and the collection is the mix of East and West. 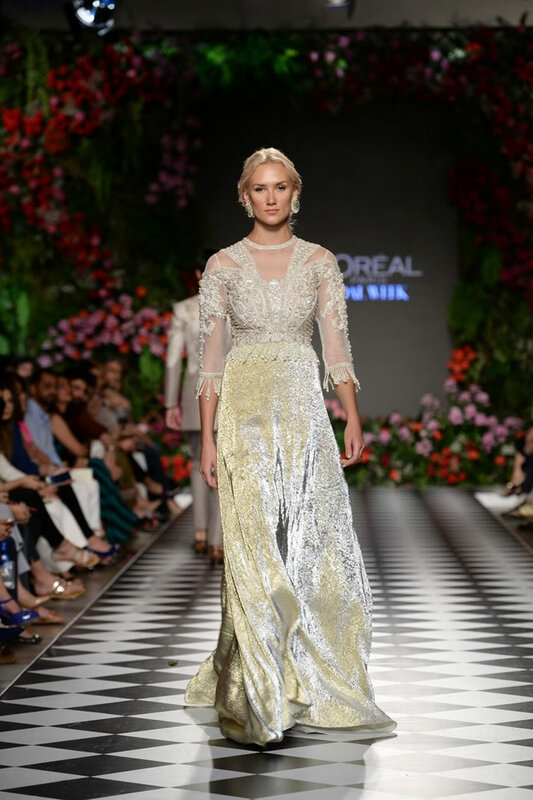 The brand took the inspiration from majestic beauty of Granada and spectacular fortress, which is prepared by Nasrid dynasty in 13th century in Europe. The collection has featured the forty pieces of the selected menswear pieces. 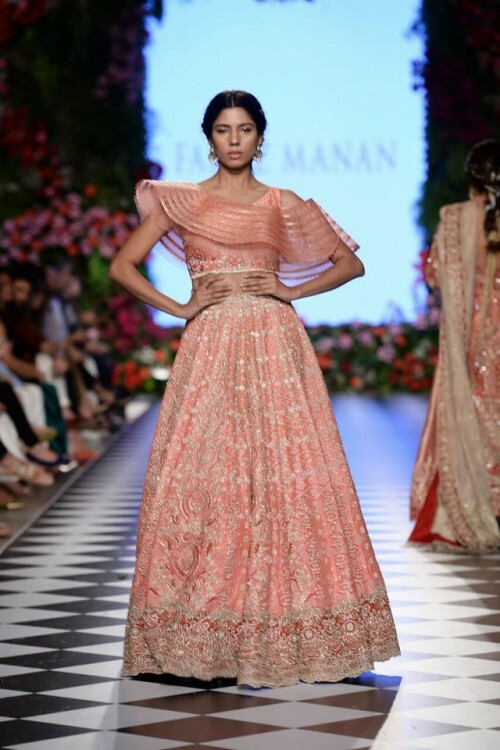 You can find the collection of European fabric including organza, nets and they are fused with rich jamawars from East. 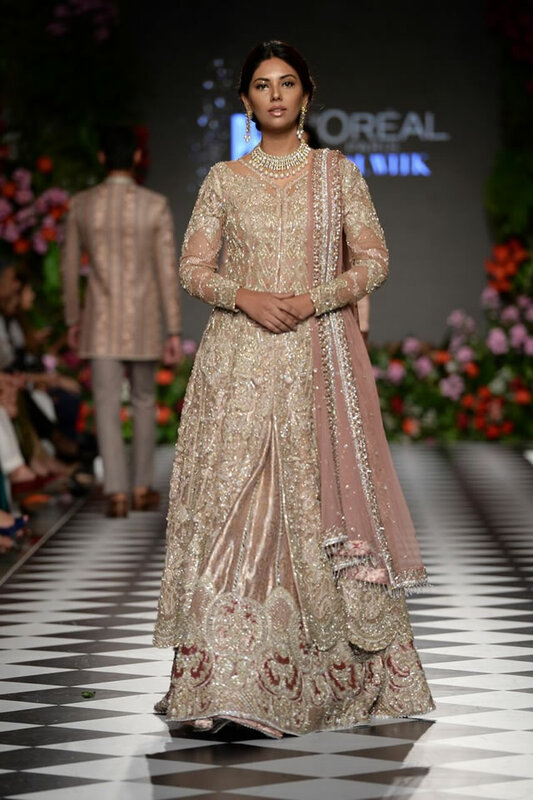 The collection has the color palette, which is signature designer colors like sandstone, blush, terra cotta, jewel tones and they are inspired by colors and architecture of AlHambra. 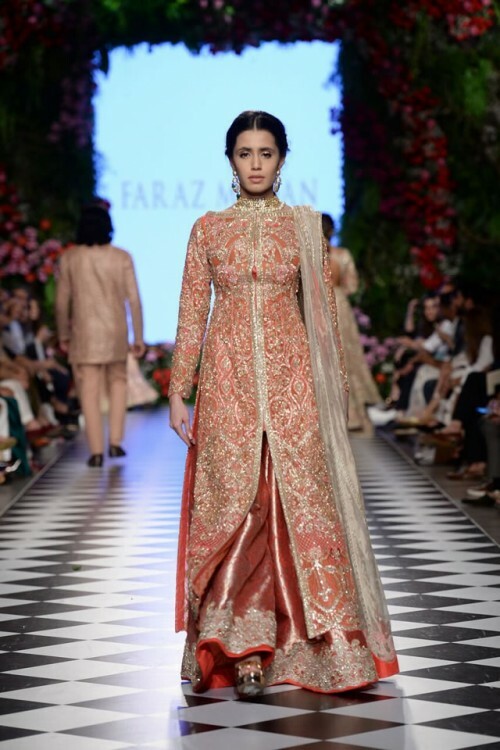 The dresses of this collection are more structured and tailored to reflect grandeur of Arabia and modesty of Arab Culture.